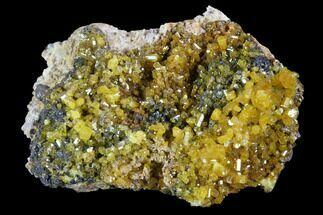 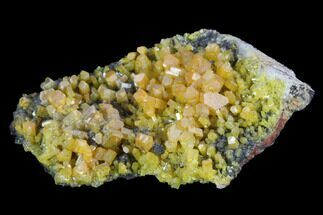 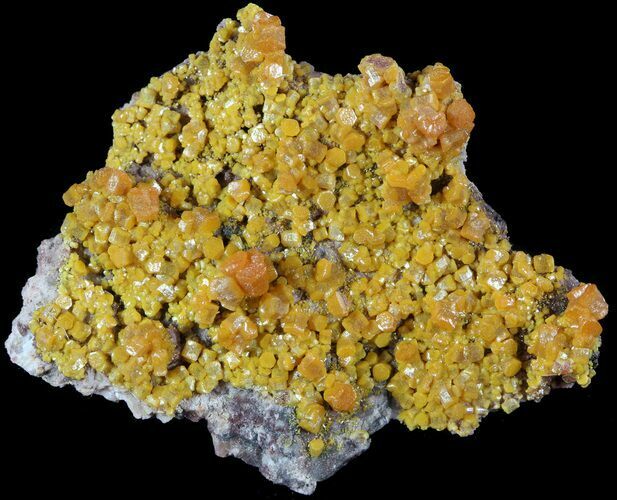 This is a cluster of small, bright yellow-orange hexagonal mimetite crystals on matrix from the Rowley Mine in Arizona. 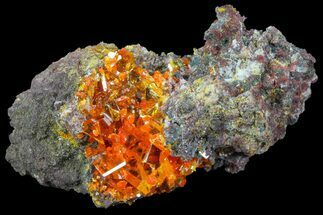 The specimen is 1.5 x 1.3" in size, and is very eye catching. 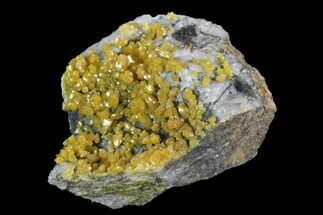 Mimetite is a lead chloro-arsenate mineral with the chemical formula of Pb5(AsO4)3Cl. 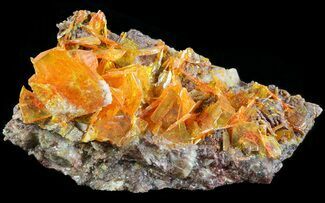 Depending on conditions, during formation/replacement, arsenate radicals (As04) can be replaced by a phosphate (PO4) or vanadate (VO4) radical. 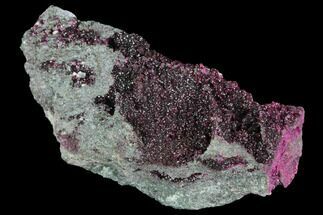 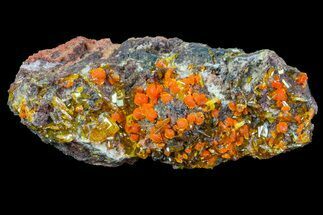 This alteration is what leads to the formation of pyromorphite and vanadinite, hence why they're typically found associated with each other. 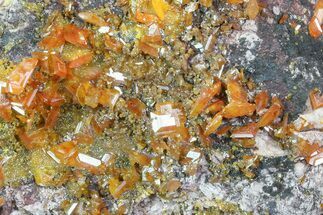 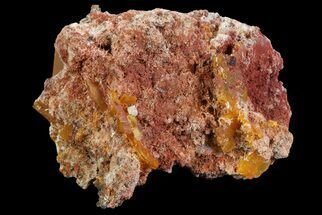 Regularly ranging between red and yellow in color, mimetite can occur in a variety of structures, from small prismatic clusters and crusts, to incredible hexagonal crystals both thick and thin.